This distinctive one-bedroom apartment in Barcelona, located in the lovely Barceloneta neighbourhood, has great access to the many beaches and endless bars, cafés and restaurants that line the beachfront. The city centre is merely ten minutes away. 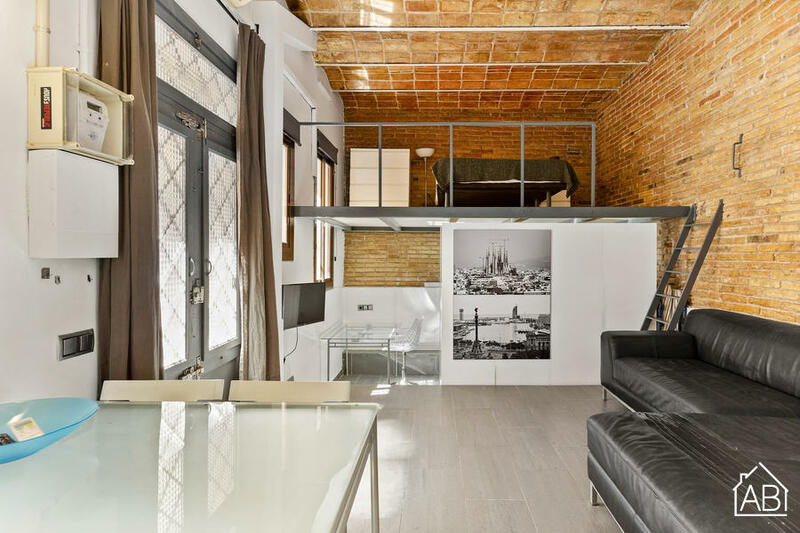 The apartment, decorated with a mixture of Spanish architecture and modern styles. The open living room, furnished with a comfortable sofa and TV, as well as a double bed, provides you with a great place to relax and unwind. The kitchen area is compact but modern, and fully equipped. There is a dining table and chairs seating up to four people. The second bedroom, located upstairs, has two single beds (which can easily be made into a double). The quaint bathroom has tiled floors and walls with a spacey walk-in shower, WC, and washing machine/dryer. This apartment is also equipped with heating and air-conditioning, making it comfortable all year round!